Tata Global Beverages has appointed Publicis Groupe’s Indigo Consulting as its digital agency. Indigo Consulting has been tasked to evaluate and refocus Tata Global Beverages’ brand communication efforts towards a more effective online experience via the company’s website. The website revamp comes as a concerted effort by the group to amplify its brand awareness and use the channel to better communicate with its key target groups – investors, media, employees and consumers. Priti Jhavar, senior VP of strategy and client services, Indigo Consulting added that the agency has already chalked out plans for the website overhaul and these plans will “help build a differentiated online positioning for Tata Global Beverages”. “Tata Global Beverages is such a dynamic brand in itself that to play it safe and stick to a stiff, corporate persona would be a great disservice not just to the group but also to its customers,” Jhavar added. Tata Global Beverages is the world’s second largest tea company with growing interests in coffee and water, with brand presence across 40 countries. 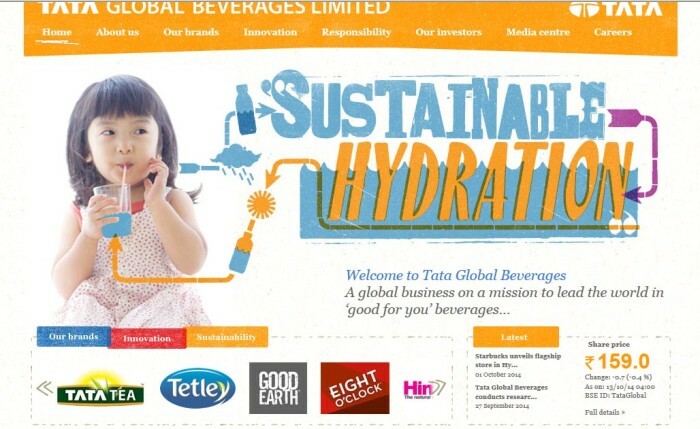 It has a portfolio of strong brands such as Tata Tea, Tetley, Eight O’clock Coffee, Himalayan water and Good Earth tea. Tata Global Beverages is a US $1.4 billion company that unites the beverage interests of the Tata Group under one umbrella. foodpanda unveils free Pick-Up service: Is constant innovation enough to survive? "In the customer conversion phase this tends to be driven by promotional activity, but this isn’t sustainable in the long-term," H..